What Are Buyer Agent Responsibilities? In Colorado, we have an Exclusive Right-to-Buy Contract approved by the Colorado Real Estate Commission that defines the basic buyer agent responsibilities. In other words, this document was not written by your agent and it is a legal contract. For example, when you are ready to go into contract, your buyer’s agent will be responsible for preparing the legal document. Also, if you submit requests for repairs after the home inspection, your agent will prepare this document as well. Experience making these requests can be the difference in receiving a favorable response from the seller. Time is of the essence on real estate offers. A few hours can literally make the difference of owning your dream house or going house hunting again. In other words, if your agent knows something, like a defect of the property, they are required to disclose it to the buyer. An important defect to watch for is movement in the foundation due to soil expansion, a common and expensive issue in Colorado. An example of important information that requires experience understands comparables to make an effective offer. Your agent will examine similar and recent home sales so that you can get a good idea of the value of your home. It is a delicate balance between making an offer too low to be taken seriously, and too high that you will not be getting a good deal. 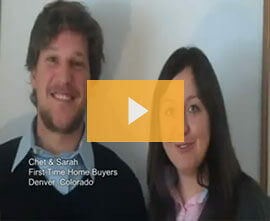 These are the basic responsibilites of all buyer’s agents in Colorado. From personal experience in buying a home with the help of a buyer agent, these responsibilities describe the bare minimum. Next week, I’ll describe how our buyer agent saved us money based on performing these resp0nsibilites. NextHow Our Buyer’s Agent Saved us Money.